Call in Special!! 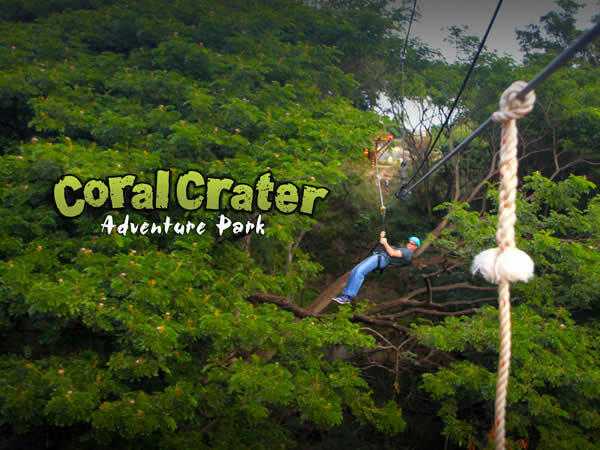 Book this activity with a second activity and receive $7.00 off per person on the second activity. 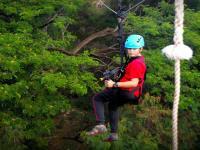 Specials may not be combined with another special. 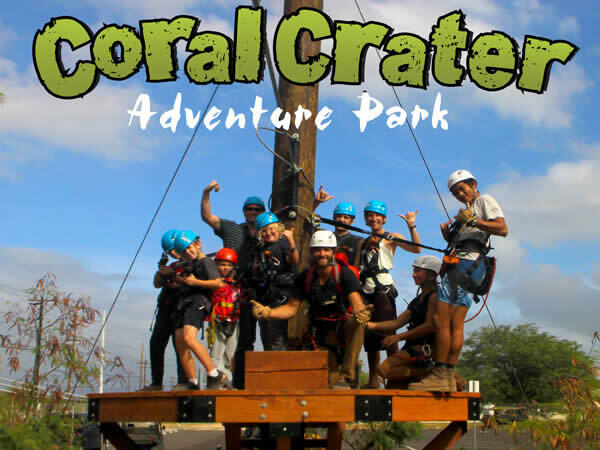 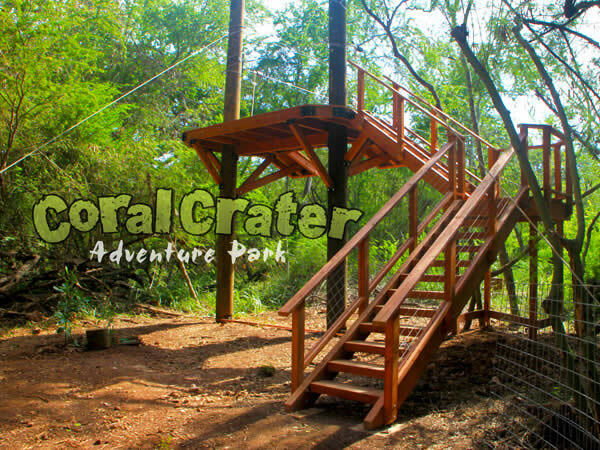 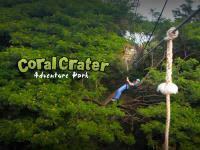 The Coral Crater Half Zipline Tour is a great choice if you're new to ziplining and would like to try out this fun activity, or if your time is limited and you would prefer a shorter tour. 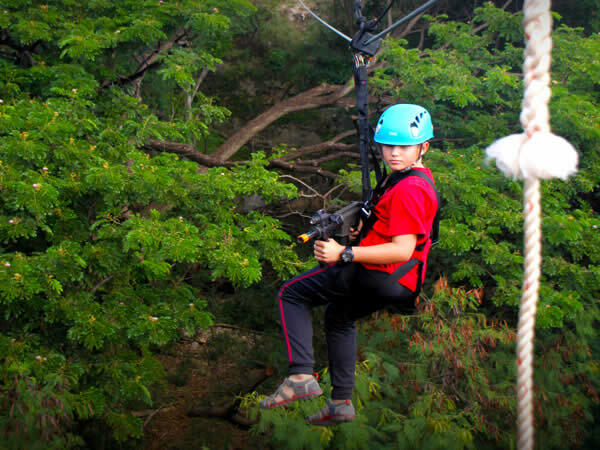 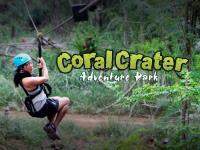 Enjoy three zipline runs ranging from 300 to 900 feet in length. 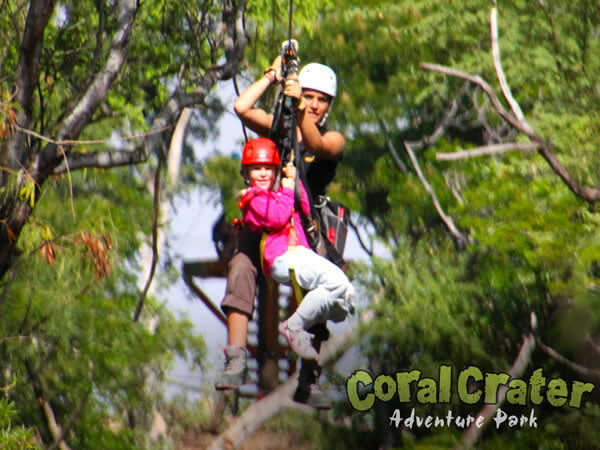 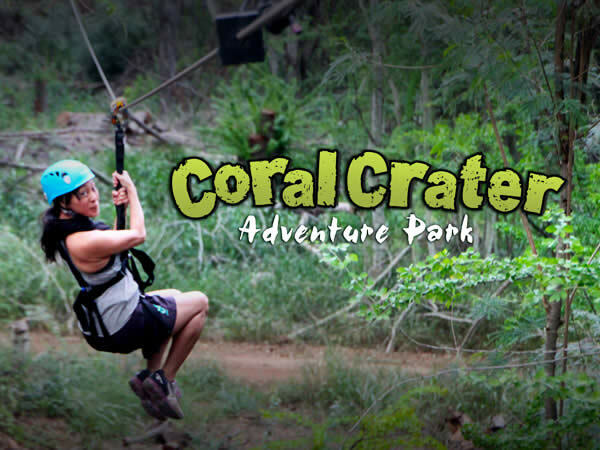 Coral Crater's brand new ziplines feature the most modern braking system, so you don't need to control your speed or stop yourself. 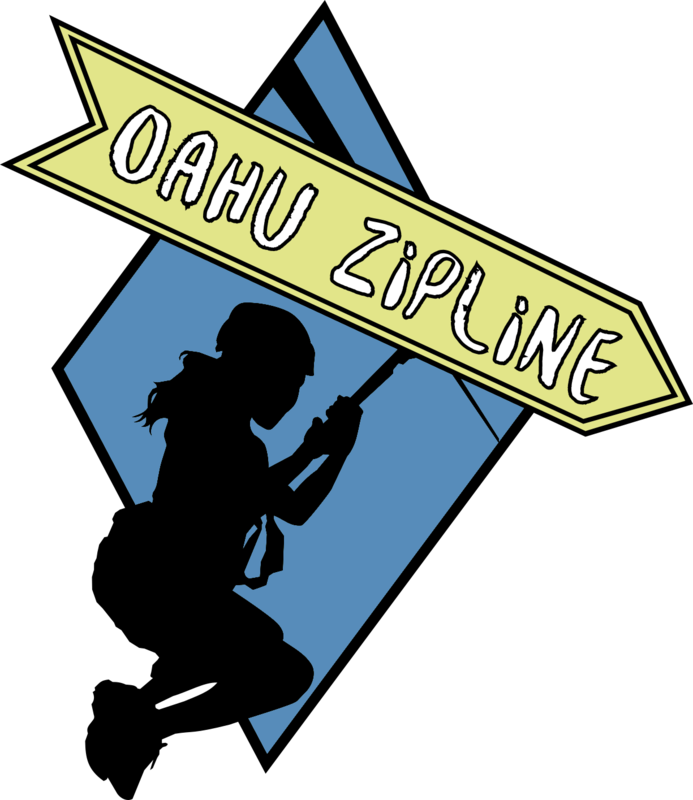  It's a great zipline for adventurers of all skill levels. 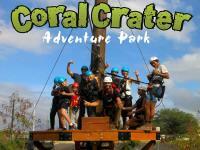 Kids age 6 and up are welcome as well (weight requirements apply).